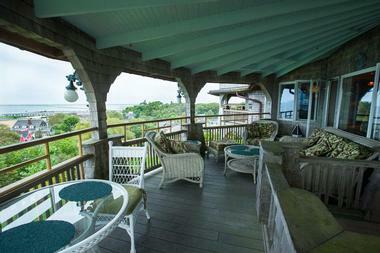 Situated on top of a property called Gull Hill in Provincetown lies Land’s End Inn. It got its name from the fact that the hotel itself stands at the very end of the road, and beyond that are marshes, tidal flats and meadows. As a popular choice among celebrities and other notable guests, the inn is a destination of choice for writers, artists and businesspersons. Many visitors are attracted to the rich history as well as the chance to escape to a paradise by the beach. It is a place for those who seek to detach themselves from the hustle and bustle of daily life but still enjoy the comforts of a modern home. Provincetown is a favorite weekend getaway from New York City and Boston. There are eighteen luxurious guest rooms atop Gull Hill by the West End, overlooking the ocean and just a few steps away from the water. They are also just within walking distance from the downtown area of Provincetown. With two bedrooms and the ability to sleep up to four guests, the Schoolman Suite is the Inn’s largest accommodations. The bedroom by the living room has a queen bed while the one in the loft has a king bed. 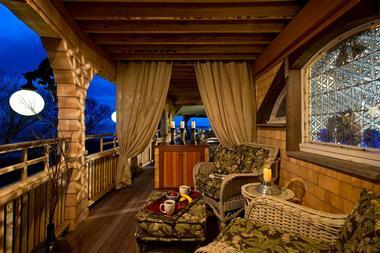 Each room, along with the deck, has great views of the water. The suite has two seating spaces, a whirlpool tub and separate showers. One of the most sought after rooms is The Bay Tower, which offers a 360-degree view of Cape Cod Bay and the Provincetown Harbour. This allows guests to watch boats all day and have a romantic view of the night sky in the comfort of the two balconies or even from their king bed. The Moroccan Tower is an octagonal room that’s decorated with Indian and Middle Eastern artefacts, giving it a very exotic feel. Meanwhile, the domed structure with great water views makes the room a very romantic choice. On the Inn’s Main Level is The Library, featuring a wrap-around balcony and cushioned seats in an ideal position to relax and bask in the Inn’s natural surroundings. Another room is the Gold Room, which has a queen bed and a balcony with a view of the water. These two rooms can be connected to create a single two-bedroom suite. The French Country Suite comes with a king bedroom, a living room and a full kitchenette. It also has its own patio that’s great for having views of both the water and the gardens. Those who will be checking in with pets will want to consider the Gull Hill room. It’s got a king bed, a sitting area and a full bathroom. More importantly, it’s designed to be pet-friendly. Other pet-friendly rooms include the West Indies Room, the Wisteria Room and the Mission Oak. Art lovers will want to check out the Tiger Lily Room. Located at the Main Level of the Inn, this queen, water-view bedroom has walls filled with works of art. Those who prefer to look at unique antique astronomy charts instead can opt for the Mayflower Room. As the name suggests, the Sunset Room is a quiet king bedroom that offers a magnificent view of the sunset. It also gives guests a view of the garden and water while giving them maximum privacy. Its sunrise counterpart is the Sunrise Room. It also has a queen bed and a balcony that has incredible views of the water. The Sunrise Room has the largest showers in the Inn. Other rooms that offer their own private deck or balcony are the Cape Cod and Victorian Rooms. For the best garden views, the English Garden room offers expansive windows for that purpose. Those who want to have a skylight in their bathroom can go for the Higgins Room, a cosy guest room at the Tower Level of the Inn. Every guest will enjoy the comforts of pillow-top mattresses, lush linens, personal bathrobes and flat-screen TVs. There’s also complimentary wireless Internet access throughout the property. Every morning, guests are treated to a healthy breakfast to jumpstart their day. They get fresh orange juice, coffee, teas, as well as muffins, breads, cereals, jams, fresh fruits and berries. Breakfast is served at the veranda, where guests are exposed to panoramic views of the ocean and the harbour. Meanwhile, the Inn’s garden offers a more private breakfast experience with the same view. Complimentary snacks and beverages are served throughout the day at the welcome area, located at the main level. Guests can snack on granola bars, coffee, tea, iced tea and sodas, as well as seasonal watermelon and lemonade whenever they like. From 5:00 to 6:30 PM, guests can grab their wine or beer of choice along with a variety of olives, cheeses and crudités. It’s a great way to meet guests or have an intimate conversation just before dinner time. More than its amenities, Land’s End Inn is also a strategic location for guests who want to explore Provincetown. For one thing, it’s very close to many beaches, the downtown and nightlife areas and a number of shopping and dining destinations. The Inn is also home to many common areas where guests can relax, have romance, reflect, enjoy the view or simply read a good book. 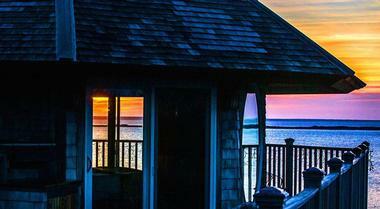 Of course, the sunsets are always beautiful from the Inn. It’s highly recommended that guests visit Provincetown’s art scene, since it’s been considered an art colony since 1899. Thanks to the beautiful ocean view, luxurious accommodations and historical architecture, Land’s End Inn is a beautiful backdrop and venue for all kinds of special events. The Inn has been the venue of choice for many family events such as reunions, anniversaries and birthday celebrations. Likewise, it has been the choice of many corporations and businesses for their corporate meetings, team building activities and retreats, conferences and board meetings. There have also been a number of non-profit organizations as well as political groups that have used the Inn as the venue for raising awareness. The Inn is fully equipped to adjust to every host’s needs, no matter the size of the event. In fact, the Inn can be reserved entirely between the months of November and April. For everything else, guests can choose between stunning outdoor venues like the gardens or indoor counterparts like the veranda and solarium. Whatever the case may be, the Inn makes sure to coordinate closely with the guests to ensure that all demands are met and the events are as memorable and productive as they can be. Despite its seclusion, Land’s End Inn is a pretty easy place to get to, may it be by car, plane, ferry or bus. Those looking to travel by car will want to set out for Point Street, Provincetown as their destination. Traveling by car from Boston will be approximately 2.5 hours while those coming from New York will get there in 5.5 hours. 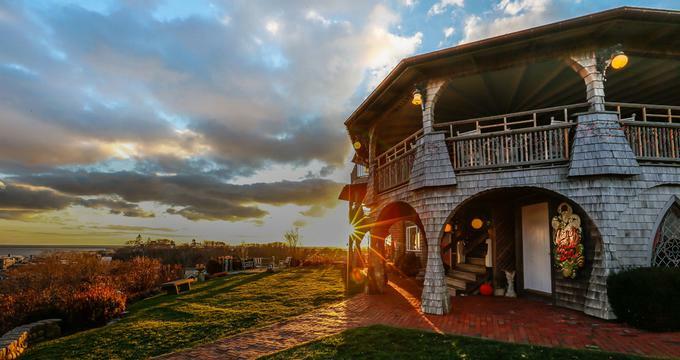 Flying to Land’s End Inn is no doubt a more convenient and luxurious option. This is a viable option for those coming from Provincetown Airport, Logan Airport (Boston), T.F. Green Airport (Rhode Island) and Hyannis Airport (Cape Cod). This option spares the guest from land traffic and only takes as much as 3.5 hours. Guests can also take a cruise on their way to Land’s End Inn and travel by Ferry. Two passenger ferryboat services take people to Provincetown during summer. These are Bay State Cruise Company and Boston Harbour Cruises, and they offer both fast and traditional ferry cruises. Finally, those who just want to commute to Land’s End Inn can either rent a car or go to Plymouth & Brockton Street Railway Company, which offers connecting services through Hyannis, Boston and Rhode Island. 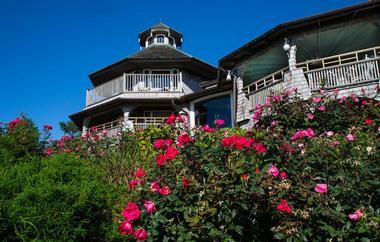 Land’s End Inn also offers some seasonal packages that could reward well-planned guests some special rates and perks. These specials are based on availability, but there are many offers during the quiet season. One good example is the spring rates, which offer 60% off on the third night’s stay between February 24 and April 14 of the year. There are also gift certificates that are perfect for any occasion. The Inn can send the Gift Certificate to the purchaser or directly to the recipient of the gift. It’s as simple as filling out an order form, but as secure as using a confirmation email and a secure credit card system.